Surf's Up: Head out on the board (surf, stand-up paddle) of your choice. Malibu Surf Shack will provide the gear and instructor to guide you to daybreak bliss. 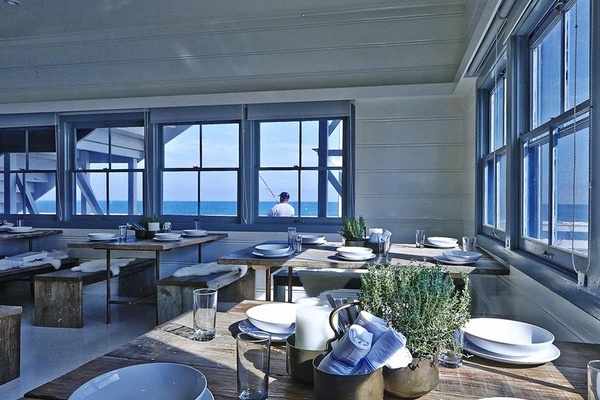 By 9 a.m., Malibu Farm Pier Cafe has coffee brewing and mini Swedish pancakes bubbling on the griddle. From here you can see the legendary three-point breaks at Surfrider Beach. Hallelujah. 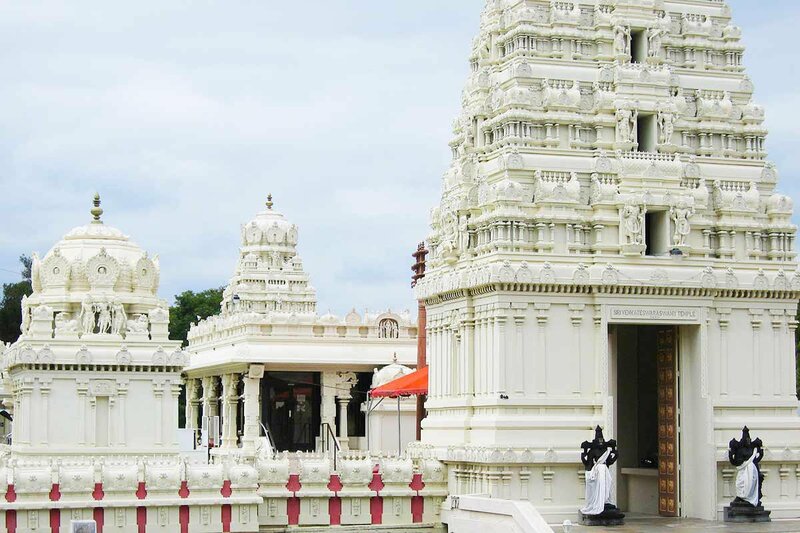 Bless Up: Drive up into the Santa Monica Mountains, where the enormous alabaster Malibu Hindu Temple to the god Venkateswara (considered one of the best examples of Hindu architecture outside of India) welcomes visitors to its hallowed grounds. Remove your shoes, watch as coconuts are cracked for a ceremonial offering, and find a quiet place to meditate on the grounds. Giddyup: Continue your drive through the Agoura Hills until you reach Paramount Ranch, where, back in the day, all the Hollywood bigwigs (Bob Hope, Gary Cooper) practiced their craft. These days, it looks like a block-long western town, which you can amble down even as TV crews set up their film shoots. Hole Up: Jim Morrison's Cave (Corral Canyon Rd., mile marker .28) is certainly off the beaten path. A short and seemingly ordinary trail hike from Corral Canyon Road leads to a slender opening in a rocky enclave. Once you wiggle your way through the "birth canal," you'll find yourself inside a bubble gum-pink cave, every inch of which is covered with graffiti. It's a trip! And tricky to find, but this quick YouTube tutorial will help you get there. 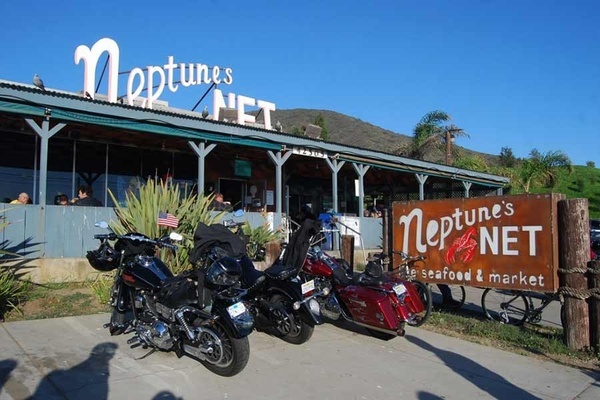 Net's Up: If you're in the mood to cruise, follow the biker gang to Neptune's Net, a one-of-a-kind seafood shack with a scene. Fill up on fish tacos with pineapple slaw and jostle for a seat among the surfers, lawyers, and leather-daddies who descend on the place in the afternoons. Suit Up: Wind your way back along the Pacific Coast Highway and stop for a dip at Zuma Beach (look for the "Free Zuma" signs to know where to park). Take up all the room you want on wide stretch of clean white sand to watch a volleyball match or build a castle. 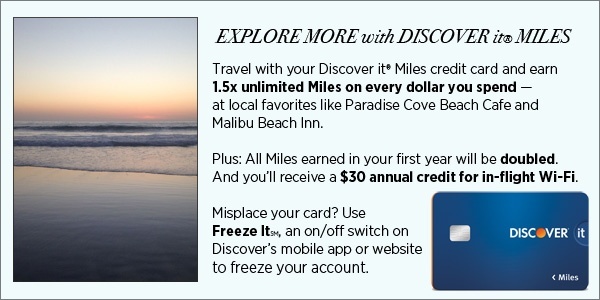 This post was created in collaboration with Discover it® Miles, the travel credit card that lets you travel without boundaries.